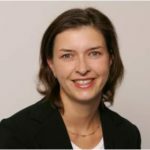 Kristina Irion will give a legal analysis of the EU’s proposed Free Flow of Data Regulation at the European Parliament in Brussels. Counting the Cost, Aljazeera.com, item starts at 20’41. Kristina Irion is senior onderzoeker bij het Instituut voor Informatierecht (IViR) van de Universiteit van Amsterdam en als postdoctoraal onderzoeker betrokken bij het Personalised Communication project. Zij organiseert de Annual IViR Summer Course on Privacy Law and Policy en doceert in de Research Master's in Information Law. Zij is Associate Professor (met onderzoeksverlof) aan de School of Public Policy van de Central European University in Boedapest (Hongarije). Kristina ontving haar doctoraat (Dr. iuris) van de Martin Luther University, Halle-Wittenberg (Duitsland), en heeft een Master’s in Information Technology and Telecommunications Law van de University of Strathclyde, Glasgow (GB). Zij was medewerker bij de Autoriteit Bescherming Persoonsgegevens in Berlijn, Senior Regulatory Counsel voor een Duitse mobiele netwerkbeheerder, stagiaire bij de Europese Commissie in Brussel en Visiting Fellow bij het Electronic Privacy Information Center (EPIC) in Washington (VS). Haar onderzoek betreft met name EU recht, regulering en public policy op het gebied van elektronische communicatie, online media, content en diensten, alsmede bescherming van privacy en persoonsgegevens. Als Marie Curie Fellow op het onderzoeksproject Governing Digital Information deed ze zelfstandig onderzoek naar de manier waarop cloud computing de (juridische) relatie verandert tussen het individu en zijn/ haar persoonlijke gegevens. Zij is hoofdauteur van een recente studie naar de mogelijke spanningen tussen de EU wetgeving op het terrein van gegevensbescherming en internationale handelsverdragen. Zij is geïntrigeerd door de gecombineerde effecten van online activiteiten van het individu, commerciële controle in de maatschappij en het wereldwijde informatiebeheer. Kristina heeft een belangrijke bijdrage geleverd aan vier Europese samenwerkingsprojecten op het gebied van privacy, onafhankelijke autoriteiten voor mediatoezicht, en het oprichten van functionerende media instellingen. Zij heeft expertise geleverd aan de Europese Commissie en het Europese Parlement, de Raad van Europa, de OECD en ENISA en werkt samen met het Centre for European Policy Studies (CEPS). Als lid van het wetenschappelijk comité draagt ze bij aan de organisatie van de jaarlijkse Computer Privacy and Data Protection (CPDP) Conference. Zij is tevens lid van de internationale adviesraad van het Electronic Privacy Information Center (EPIC). The Golden Age of Personal Data: How to Regulate an Enabling Fundamental Right? New technologies, purposes and applications to process individuals’ personal data are being developed on a massive scale. But we have not only entered the ‘golden age of personal data’ in terms of its exploitation: ours is also the ‘golden age of personal data’ in terms of regulation of its use. Understood as an enabling right, the architecture of EU data protection law is capable of protecting against many of the negative short- and long-term effects of contemporary data processing. Against the backdrop of big data applications, we evaluate how the implementation of privacy and data protection rules protect against the short- and long-term effects of contemporary data processing. We conclude that from the perspective of protecting individual fundamental rights and freedoms, it would be worthwhile to explore alternative (legal) approaches instead of relying on EU data protection law alone to cope with contemporary data processing. This book compares the results of twenty years of international media assistance in the five countries of the western Balkans. It asks what happens to imported models when they are applied to newly evolving media systems in societies in transition. Albania, Bosnia-Herzegovina, Kosovo, Macedonia, and Serbia undertook a range of media reforms to conform with accession requirements of the European Union and the standards of the Council of Europe, among others. The essays explore the nexus between the democratic transformation of the media and international media assistance in these countries. The cross-national analysis concludes that the effects of international assistance are highly constrained by local contexts. In hindsight it becomes clear that escalating media assistance does not necessarily improve outcomes. The right to protection of personal data: the new posterchild of European Union citizenship? In this chapter we argue that the right to data protection is the posterchild of EU citizenship in the digital era. We start by providing a brief overview of the gradual construction of the right to personal data protection in the EU. We then identify a range of actors who have played a particular role in the building process, including EU citizens themselves. Next, we review the current legal ‘architecture’ of the right to the protection of personal data and discuss whether it could serve as a model for the future development of EU citizenship, notwithstanding remaining challenges at the level of national implementation and public and private compliance with EU rules. Finally, we reflect on the future of the right to data protection, and its contribution to the development of EU citizenship as a legal regime. The California Consumer Privacy Act (CCPA), slated to enter into force on 1 January 2020, borrows some cutting edge ideas from the EU and others’ privacy regimes while also experimenting with new approaches to data privacy. Importantly, the CCPA envisages an online advertisement market in which business are prevented from “getting high on information,” 1 breaches are promptly notified, and consumers are autonomous participants with the ability to sell their data at will. Where the CCPA breaks new ground is in protecting consumers from retaliation for opting out of the sale of their data. Thus, if it lives up to its potential, the CCPA could catalyse a permanent restructuring of the online data mining business. Our contribution will shed light on the new CCPA and offer some observations in comparing it with EU’s General Data Protection Regulation (GDPR). Mid-September last year the European Commission presented a proposal for a new regulation on the free flow of non-personal data in the European Union. The free movement of data in the digital single market has been called the fifth freedom complementing the existing freedoms on movement of goods, services, capital and people. The proposed regulation seeks to remove unjustified data localisation measures that fall in the scope of EU law. Often this will amount to cutting bureaucratic red tape in the private sector, such as for example removing a domestic obligation to maintain a full copy of bookkeeping on premise of an organisation in a given Member State. Member States can justify an activity that contravenes this proposal on grounds of public security - an exception this briefing is tasked with analyzing. The briefing concludes that the fifth freedom would have a moderate impact for the European data economy. The author offers concrete guidance to the EU legislator how to improve the draft regulation in order to preserve the freedom of contract. The public security exception foreseen could be too narrow because it precludes member states to take measures that can be justified on grounds of public policy or the protection of health and life of humans, animals or plants. Drawing on the analogy with fire safety regulations in the member states it would be too early to preclude that in the future we will need local mirrors and handles. Locality continues to matter for example in the Internet of Things environment because as individuals we live in a physical place. At the EU-Japan Summit in July this year the European Union (EU) and Japan have achieved a political agreement in principle on the content of the Japan EU Economic Partnership Agreement. For Japan including data flows in the trade deal with the EU has been an important political goal besides mutual recognition of their privacy laws. The EU is currently not favorably disposed to allow data flows provisions into trade deals. Building a ‘state of the art’ digital economy between Japan and the EU is certainly possible in conformity with their data privacy laws and the classical trade law disciplines. Our brief unpacks how flows of personal data will governed in the relationship between Japan and the EU. As a point of departure we look at the extent to which the prospective trade deal between the two economies would already cover data flows, including personal data. Next, we will take a look at the prospects for a regulatory handshake between Japan and EU providing for mutual recognition of data privacy and flows of personal data. The brief concludes with findings and recommendations on the future directions of Japan EU Economic Partnership Agreement. The independence and functioning of the regulatory authority for electronic media in Serbia, Study commissioned by the Council of Europe, Amsterdam/Brussels/Budapest/Belgrade, 2017. This study carries out an independent assessment of the Regulatory Authority for Electronic Media (REM) of Serbia. The scope of the study is to apply the INDIREG methodology to the REM and provide contextual interpretation of the results with policy recommendations. This study has been commissioned by the Council of Europe, on the request of REM, in the framework of the Project “Reinforcing Judicial Expertise on Freedom of Expression and the Media in South-East Europe (JUFREX)”. REM, seated in Belgrade, is caught and operates in a challenging context: media markets in Serbia are highly saturated and government grants are awarded to selective private media. There is low upfront compliance with programme and advertisements rules as well as an overall squeeze on quality content and the accountability function of the media. Lacking the optimal support of the parliament and being sidelined by the Ministry on Culture and Information can damage the effective functioning of the independent regulator. REM in this situation appears to retreat to overly formalistic (law-abiding) activities without necessarily being effective in regulating the Serbian electronic and audiovisual media. Many stakeholders from the media sector do not perceive of REM as an authority pointing to a lack of enforcement or the deflection of responsibility which has undermined its public credibility. The study concludes with a set of recommendation how to address these challenges. Smart TV and online media enable precise monitoring of online media consumption, which also forms the basis for personalised recommendations. This new practice challenges EU policy in two respects. Firstly, the legality of monitoring individual media consumption and using personal data of users is primarily addressed under data protection law. Secondly, tracking of viewing behaviour and personalisation of media content can also affect individuals’ freedom to receive information, as well as the realisation of media policy objectives such as media freedom and pluralism, implications that so far are not reflected in media law and policy, or only marginally. This article addresses the increasing reliance on personal data and personalised services in the audiovisual and online media sector and queries the appropriateness of the legal status quo in light of implementation and enforcement actions in Germany and the Netherlands. The analysis concludes with a call for media policy makers and regulators to pay more attention to the issue of ‘smart surveillance’ of media users, and develops a number of concrete recommendations on how to accommodate the specific privacy concerns of media users. New technologies, purposes and applications to process individual’s personal data are developed on a massive scale. But we have not only entered the ‘golden age of personal data’ in terms of its exploitation: ours is also the ‘golden age of personal data’ in terms of regulation of its use. In this contribution, we explain how regulating the processing of an individual’s personal data can be a proxy of intervention, which directly or indirectly could benefit other individual rights and freedoms. Understood as an enabling right, the architecture of EU data protection law is capable of protecting against many of the negative short- and long-term effects of contemporary data processing. The new General Data Protection Regulation certainly strengthens aspects of this core architecture but certain regulatory innovations to cope with technological advancements and the data-driven economy appear less capably of yielding broad protection for individuals fundamental rights and freedoms. We conclude that from the perspective of protecting individual fundamental rights and freedoms, it would be worthwhile to explore alternative (legal) approaches of individual protection in contemporary data processing. Speaking notes for a panel debate hosted by MEP Viviane Reding at the European Parliament on 12 October 2016. A shared issue agenda provides democracies with a set of topics that structure the public debate. The advent of personalized news media that use smart algorithms to tailor the news offer to the user challenges the established way of setting the agenda of such a common core of issues. This paper tests the effects of personalized news use on perceived importance of these issues in the common core. In particular we study whether personalized news use leads to a concentration at the top of the issue agenda or to a more diverse issue agenda with a long tail of topics. Based on a cross-sectional survey of a representative population sample (N=1556), we find that personalized news use does not lead to a small common core in which few topics are discussed extensively, yet there is a relationship between personalized news use and a preference for less discussed topics. This is a result of a specific user profile of personalized news users: younger, more educated news users are more interested in topics at the fringes of the common core and also make more use of personalized news offers. The results are discussed in the light of media diversity and recent advances in public sphere research. Study carried out for the European Commission by Visionary Analytics in cooperation with SQW Limited, Ramboll Management Consulting and with support from the Advisory Board: Dr. K. Irion, M. Ledger, Dr. E. Varney, A. Moledo, Brussels: European Commission, 2016. The current EU rules on the independence of audiovisual media regulators (Article 30 AVMSD) have little to no impact on the actual performance of regulators, which are under the discretion of MS. […] [E]stablishment of concrete requirements have the largest potential for de facto safeguarding independence of regulators and thus more effective transposition of the AVMSD and the preservation of free and pluralistic media. Prepublication version of the article. The article focuses on the interplay between European Union (EU) law on privacy and data protection and international trade law, in particular the General Agreement on Trade in Services (GATS) and the WTO dispute settlement system. The argument distinguishes between the effects of international trade law in the EU legal order on the one hand, and, on the other hand, how EU data protection law would fare in a hypothetical challenge under the GATS. The contribution will apply international trade law and the general exception in GATS Article XIV to typical requirements stemming from EU data protection law, especially on transfers of personal data to third countries. The article enumerates the specific legal risks for defending EU law on privacy and data protection and explains the practical implications of its hypothetical challenge under the GATS. These insights could be useful for the EU’s negotiators of the future bi- or multilateral free trade agreements, notably the Transatlantic Trade and Investment Partnership and the Trade in Services Agreement. Presentation delivered at the public conference organized by the Greens/EFA, 6 April 2016, European Parliament, Brussels. In: Festschrift für Wolfhard Kohte, Faber et al (eds. ), Baden-Baden: Nomos, forthcoming 2016. The frequency with which the Court of Justice of the European Union (CJEU) rules on the interpretations of the rights to privacy and data protection in European Union (EU) law is constantly accelerating. The increasing case-load can certainly be attributed to the contemporary relevance of these issues in a data-driven society which leads to more cases being referred to the CJEU. However, contrary to earlier case-law, which had a rather limited effect, the recent CJEU decisions have gained prominence for their principle contribution to EU law. In 2014, the Court issued a landmark ruling in the case <em>Digital Rights Ireland and Seitlinger v Minister for Communications, Marine and Natural Resources</em> which catapulted EU citizens’ privacy and data protection rights from the margins of EU law to the center stage. Already in 2015, in the case <em>Maximillian Schrems v Data Protection Commissioner</em>, the Court has had another occasion to review EU legislation for its compliance with the rights to privacy and data protection under the EU Charter. The invalidation of the EU-U.S. Safe Harbour agreement by the Court has been stirring a global resonance in addition to receiving ample and arguably controversial coverage in international news. This contribution looks at how the fundamental rights to privacy and data protection are protected in the EU legal order. It primarily assesses the CJEU’s case-law’s trajectory in this field as well as the impact of its decision practice in EU law. Hereby I discuss whether the CJEU holds a particular regard for the rights to privacy and data protection since the Charter of Fundamental Rights of the EU (CFR) was accorded binding legal value in 2009.5 Particular focus is given to the discussion of the two judgments in 2014 and 2015 cited above with which the Court underscored its determination to effectively protect these fundamental rights in the scope of EU law. Study commissioned by the Council of Europe, Amsterdam/Edinburgh/Tirana, August 2015. Comment in Internet Policy Review, 23 October 2015. In line with the overall trend individuals’ personal affairs, too, are composed of digital records to an increasing amount. At about the same time, the era of local storage in end user equipment is about to give way to remote computing where data resides on third party equipment (cloud computing). Once information, and even the most personal one, is no longer stored on personal equipment the relationship between individual users and their digital assets belonging to them is becoming increasingly abstract. This contribution focuses on the implications of cloud computing for individuals’ unpublicized digital records. The question to be answered is whether - taken together - the progressing virtualization and the disruption of physical control produce a backslide for individual positions of rights. The paper introduces the legal treatment of users’ digital personal records and how a technical transformation in combination with disparate legal protection and prevailing commercial practices are bound to impact the distribution of rights and obligations. At the time of writing I am at the Computer Privacy and Data Protection Conference, for insiders just CPDP 2015, one of several mega-events with more than 1,000 participants from governments, European Union (EU) institutions, corporations, civil society and privacy advocates, and plenty of lawyers and academics just like me. This is emblematic of the transformation privacy and data protection have undergone from a somewhat dull area of law to a very visible cutting-edge legal expertise. In Digital Rights Ireland, the Court of Justice invalidated the 2006 Data Retention Directive, which required private providers to retain for a considerable period electronic communication metadata for law enforcement purposes. In this landmark ruling, the EU judiciary introduced a strict scrutiny test for EU legislative acts that interfere seriously with important rights protected by the Charter of Fundamental Rights and the European Convention on Human Rights—in this case, the rights to privacy and data protection—and applied a rigorous assessment of the proportionality of the measure under the Charter, criticising numerous aspects of the Directive. This article presents and analyses the judgment, discussing its implications for constitutional review and constitutionalism in the European Union, and the substantive and procedural constraints that it imposes on EU and national data retention schemes. It concludes by reflecting on the ruling’s impact on European integration and data related policies. Study commissioned by the Council of Europe, October 2014. Pre-publication version also available at SSRN. International media assistance programs accompanied the democratic media transition in Albania, Bosnia and Herzegovina, Kosovo, Macedonia and Serbia with varying intensity. These countries untertook a range of media reforms to conform with accession requirements of the European Union (EU) and the standards of the Council of Europe, among others. This article explores the nexus between the democratic transformation of the media and international media assistance (IMA) as constrained by the local political conditions in the five countries of the Western Balkans. It aims to enhance the understanding of conditions and factors that influence media institution building in the region and evaluates the role of international assistance programs and conditionality mechanisms herein. Cultural diversity is a multifaceted concept that differs from the notion of media pluralism. However, the two concepts share important concerns particularly as regards content production, content distribution and access to content. This chapter considers the EU’s role in contributing to diverse audiovisual and online content and assesses its limits.<br /> Although a signatory of the UNESCO Convention on the Protection and Promotion of the Diversity of Cultural Expressions, the ability of the EU to foster cultural diversity in the digital environment is confined on account of its constrained competences in the field of audiovisual media and online content. Notwithstanding, the EU develops a number of substantive policies that benefit the creation and circulation of cultural content either in an explicit or in an implicit manner. Following a value-chain approach, this chapter discusses the complementary role of various EU sectoral regulations towards this aim. The analysis focuses on the Audiovisual Media Services (AVMS) Directive (Directive 2007/65/EC – 2010/13/EU) and various aspects of the EU regulatory framework for electronic communications, particularly in relation to non-discriminatory access to bottlenecks in the distribution infrastructure and online platforms.<br /> The chapter advances the argument that existing EU policies have an important role to play for ensuring the free circulation of, and access to, cultural content. At the same time, aside from the cultural quotas in the above mentioned AVMS Directive, EU activity is less prominent in the field of content production. The analysis concludes by stressing the complexity of promoting cultural diversity in light of both cultural content supply and demand considerations. It also emphasises the importance of emerging policy issues, in particular net neutrality and findability. The innovations on which today’s Internet proliferated have been a major gift from its founders and the US government to the world. Ever since the rise of the Internet it has attracted utopian ideas of a free and borderless cyberspace, a men-made global commons that serves an international community of users. First commercialization and now the prevalence of state surveillance have significantly depreciated the utopist patina. Internet’s borderless nature which was once heralded to rise above the nation state has actually enabled some states to rise above their borders when engaging in mass surveillance that affects users on a global scale. International human rights law and emerging Internet governance principles have not been authoritative enough to protect users’ privacy and the confidentiality of communications. More or less openly, Western democracies embarked on the path of mass surveillance with the aim to fight crime and defend national security. This chapter’s focus is on the safeguards and accountability of mass surveillance in Europe and the US and how this affects transatlantic relations. It queries whether national systems of checks and balances are still adequate in relation to the growth and the globalization of surveillance capabilities. Lacking safeguards and accountability at the national level can exacerbate in the context of transnational surveillance. It can lead to asymmetries between countries which are precisely at the core of the transatlantic rift over mass surveillance. The chapter concludes with a brief review of proposals how to reduce them. Blogpost on LSE Media Policy Project, published on 30 April 2014. The book is based on research carried out in the context of the INDIREG and MEDIADEM projects. See here the front and back cover of the book. Media independence is vital for democracies, and so is the independence of the regulatory bodies governing it. The Independence of the Media and its Regulatory Agencies explores the complex relationship between media governance and independence of media regulatory authorities within Europe, which form part of the wider framework in which media’s independence may flourish or fade. Based on research in more than forty countries, the contributions analyse the independence of regulators and draw links between social, financial, and legal frameworks. The contributing authors offer theoretical perspectives that combine law and public policy; review research methods; and offer a set of case studies that explore how the national socio-political context influences local institutions. As a whole, the book offers an accessible and relevant account of research into regulatory independence as applied to the audiovisual media sector in Europe.